I come from (city/country): : Nottingham U.K.
Betty Boops is just awesome. I just love this place. It’s the first place I visit whenever I travel to Amsterdam and I have to visit everyday while I’m there. Really friendly bud tenders, who are very knowledgable and will find you the type of high you want. (The apple haze is amazing!) The vibe is always nice in Betty’s, it’s well lit, the chairs are comfy, it just feels nice and easy going place. They have the best quality weed as well! I honestly start everyday day when I visit getting some bud from Bettys, you can try the rest but Betty’s is best. 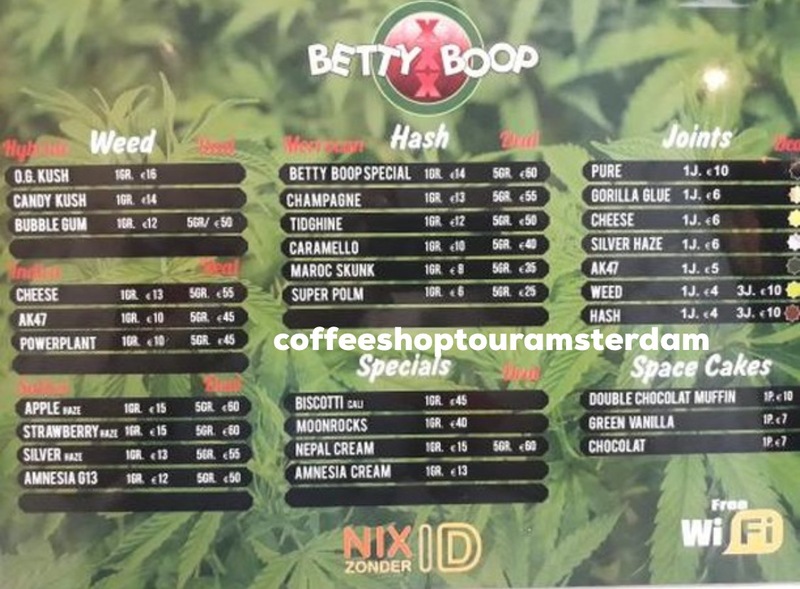 I tell any of my mates going to Amsterdam to go find this coffeeshop. If I didn’t go to Amsterdam with the Mrs, I’d spend all day and all my money in there.